Kudle Beach is one of the four beaches south of the small town of Gokarna, on the western coast of India, in the Uttara Kannada district of the Karnataka state. 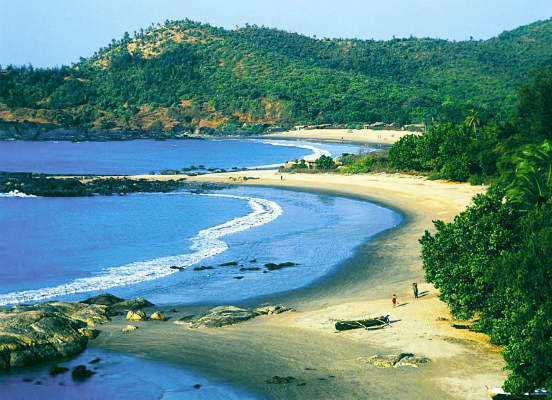 The five beaches in Gokarna are the Gokarna beach, Kudle, Om, Half moon and Paradise (also known as Full moon). 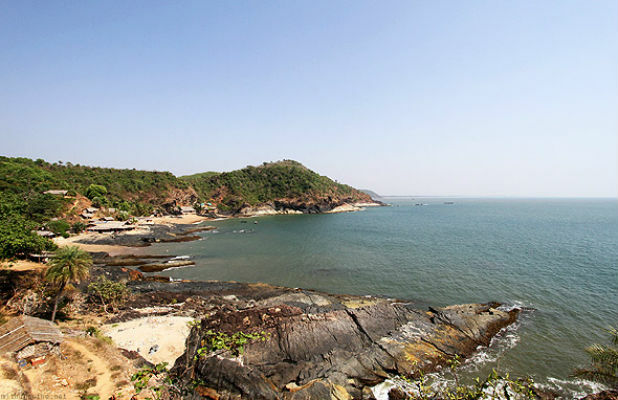 The Gokarna beach forms the coast of the town while the other four beaches lies towards the south of Gokarna. 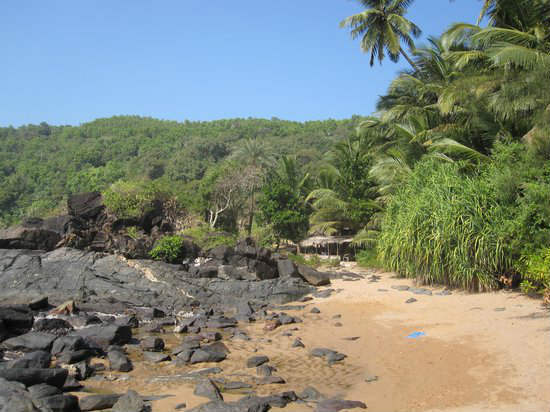 Resembling the auspicious ॐ [Om] symbol, Om Beach is one of the most popular beaches in Gokarna. Om beach is named so because it is shaped like the auspicious ॐ [Om] symbol. Om beach is the only naturally Om shaped beach. 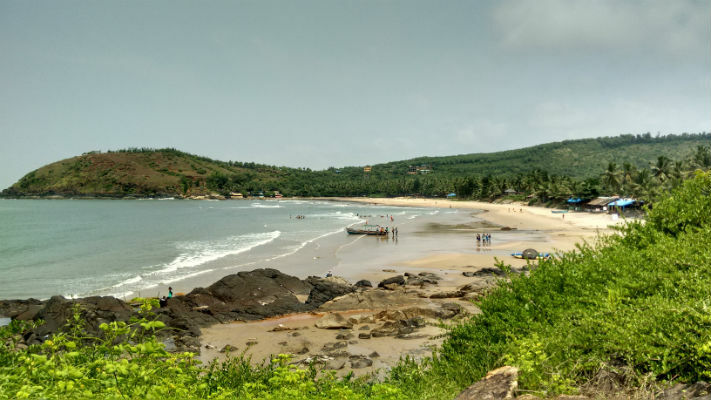 Considered to be one of the most beautiful beaches in Gokarna, Half Moon beach offers stunning view of the sea against the clear blue skies.For food lovers, there is a variety of sea food offered here. Away from the hustle bustle of crowded beaches, this quiet beach is the perfect spot if you want to relax and rejuvenate amidst untouched beauty. The beach can only be reached by a boat or by trekking through the forest. Leisure, warmth and beauty describe Paradise each at its best. Karnataka is mesmerized by World famous Jog falls. Many river slide past the emerald forest, meander through plains and finally emerge only to take its head tumble down 253 meters. Its awesome to see mist and water fall at Jog Falls. Just 80 Km from Gokaran, group tours are arranged to see the bliss to feel. Where the noble laureate Rabindra Nath Tagore wrote “Prakritir Pratooshta” or the Natures Revenge. 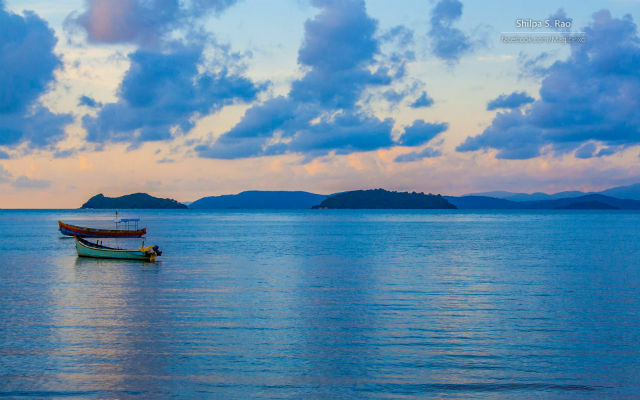 Karwar is just 40 km from Gokarn on the Way to Goa. An island along the cost, a 300 old temple draws the visitors. Ilmati, Devbagh and Binaga beaches form the coastal line of Karwar. Group tours are arranged to visit on the way to Goa. 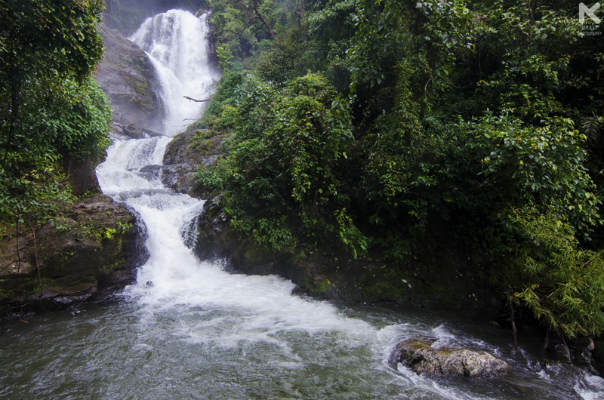 Vibhooti falls gets its name from the lime stone rock found in the vicinity of this waterfall. The waterfall is surrounded by huge rocks and various limestone structures. Myths hold that Vibhooti fall is formed by the washing away of ashes from burning of Brsmasur. 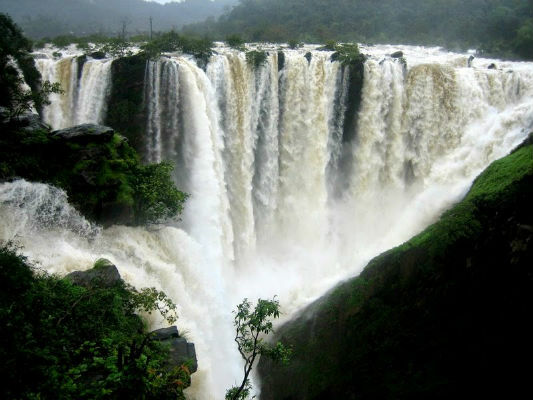 Vibhooti falls is situated amidst dense forests named Sahyadri forest. 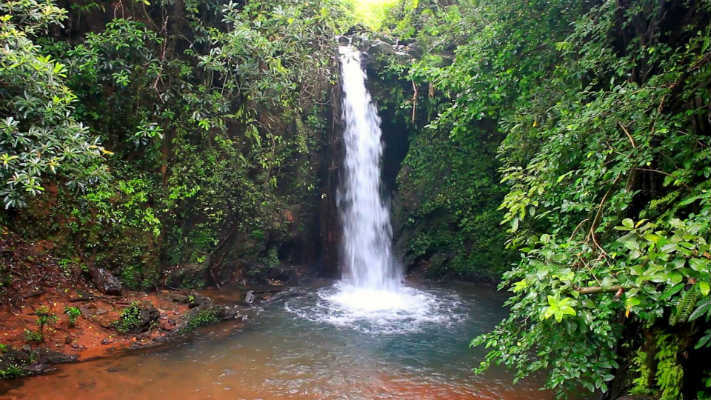 It is also popularly known as Mabagi falls because of a small village named ‘Mabagi’ located in its vicinity. 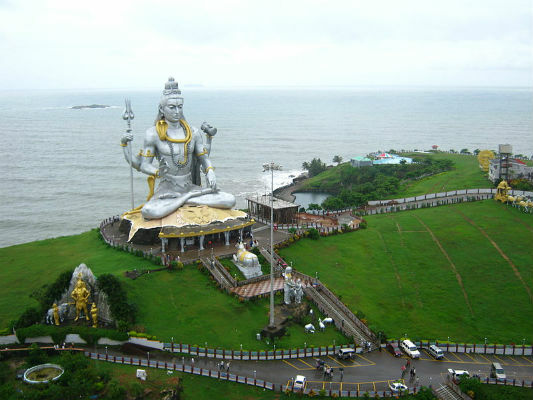 It is about 0.5 kilometres (0.31 mi) from the National Highway 17 and 21 kilometres from Gokarna, the famous Hindu pilgrimage centre on the west coast of India. The fort is located on the banks of the Aganashini River, which is a tributary of the Sharavathi River. The mouth of the river is 12 kilometres (7.5 mi) from the Mirjan village. It is in a creek on a bend of the river, known as the Tadri Creek. 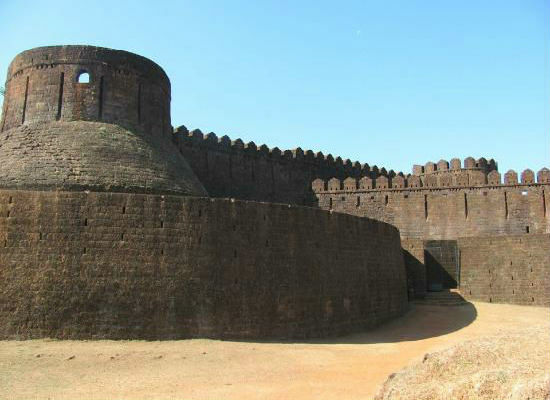 The fort is approached through a series of wide steps that lead to the interior of the fort.Its location in Kumta taluk is 8 kilometres (5.0 mi) to the north of the Kumta town. Located amongest the ever green forest of the Sahayadri mountains.It is famous tracking place. Yana caves are paradise of Limestone rocks. Famous for it's unique, black crystalline limestone rocks. It is a heaven for rock climbers. 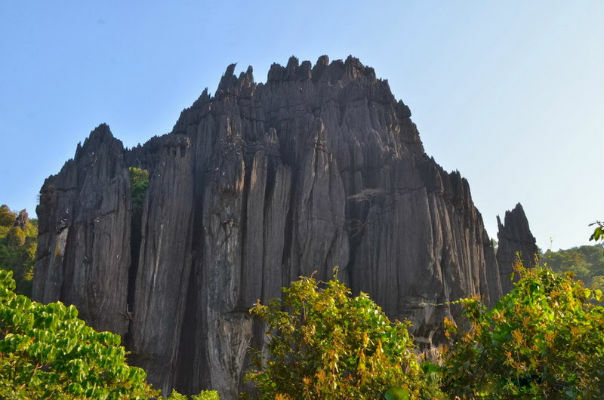 The area is known for its majestic mountains, a variety of rocks formations, trikling waterfalls and a holy temple. One can also go hiking to Vibhuti falls and camp overnight there.